ANDREW MAN – Grew up in England, trained as a navigating officer and spent many years travelling overseas. He entered International Banking in the 1970’s with a career which spanned over thirty years in London, Europe and the Middle East. 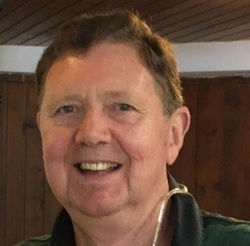 Following his career in Banking, the author established his own investment company in Beirut, Lebanon, which came to an end with the war in 2006. Returning to Europe, he continued to work in investment finance, facing difficult challenges, including problems with the culture and evolution of banking. His interests still include politics, finance and playing around with ideas from the world of science. Now retired, he lives in Switzerland with his wife and a teenage son. Exciting adventure story inspired by real-life events includes tales of espionage, illicit banking and romance in foreign lands. Dashing from one continent to another, TEGO ARCANA DEI – Keeping God’s Secret sees hero James Pollack’s life unravel at high speed. We follow Pollack through his years as a banker in the City of London to working in the beautiful and seductive Caribbean island of Antigua, before escaping to Switzerland after being hotly pursued by a mysterious agency. In each city he arrives in, James meets alluring women who act as his personal guides, in more ways than one. The story includes a wide range of topics from the frontiers of recent scientific discovery and the development of human consciousness over the millennia. The novel provides an exhilarating ride through the life and times of James Pollack and readers will certainly be left wanting more. 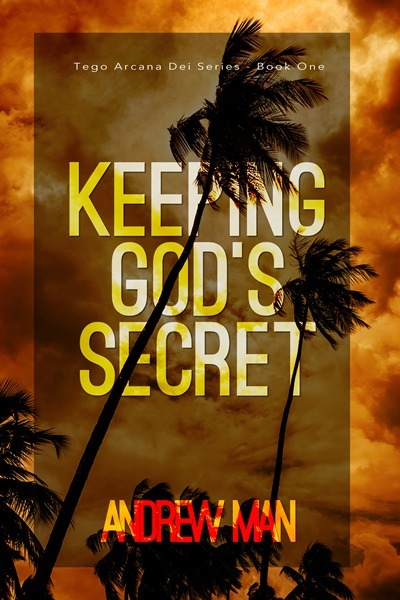 Following the first publication of the book last year, this new revised version includes more details of God’s Secret, to support and enhance unexplained mysteries in the conclusion. The story is an intimate look at how human relationships changed in the 21st Century, leading humanity into a path-dependent world. It is a fictional story from the banking crisis of the 80’s to the Middle East wars of the new century. New facts and ideas have been added to help the reader understand the story that Governments, church and your bank do not want you to read? ‘Forces of Retribution’ is the second book in the Tego Arcana Dei Series which follows the hero James Pollack, from a war in Lebanon in 2006 to the mysteries of the Pyramids in Egypt. In this story, two of the female characters from the first book, Virginia and the Russian Natasha are trying to return home. They are joined by Alexei, who finds she is pregnant in a strange and unfriendly World! The storyline includes questions from the Banking crisis in 2008, as world leaders try to prevent a global meltdown of the financial system. Finally, James meets Janet again, who with her private jet, is seeking his help with her interest in instant communication! The novel supports those who are asking ‘what on Earth will it take’ and tells a human interest story - with an expecting mother battling to save her baby on a train journey across Europe. BEYOND THE REST OF US” is a thrilling journey of the contemporary human heart, intimate, magical, and subtly architected. A retired Swiss banker is kidnapped at a Geneva hotel for crimes he doesn’t understand. An Italian cruise ship crashes into rocks in the Tyrrhenian Sea. A respected American scientist disappears into thin air. And a British secret agent follows a trail of corrupt power in this gripping third book featuring Andrew Man’s aging male protagonist James Pollack.